As soon as you start going to the gym, words like "Protein", "Supplement" , "Whey" , "Shakes" , "Protein Shakes" etc. will fall on your ears just like * insert your choice of analogy here*. Before I tell you 'What Whey Protein IS" , let me clarify "What Whey Protein ISN'T"
Quoting Wikipedia : Dietary Supplement: A dietary supplement, also known as food supplement or nutritional supplement, is a preparation intended to supplement the diet and provide nutrients, such as vitamins, minerals, fiber, fatty acids, or amino acids, that may be missing or may not be consumed in sufficient quantities in a person's diet. Supplements for the following nutrients are common: Vitamins; B C A D E K. Minerals ; Calcium, Magnesium, Iron. Proteins, Fats, Antioxidants etc. BUT WHAT IS WHEY MADE OF?? Whey is the liquid created/ by product of Cheese creation. 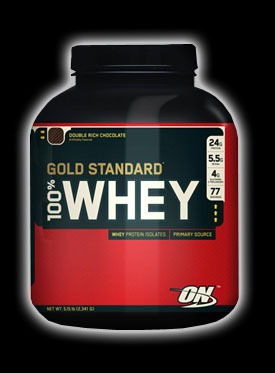 Whey protein is a mixture globular proteins isolated from this Whey. IS WHEY GOOD FOR YOU? Today your kids in India (If you have kids) are regular consumers of Whey Protein because, they drink "Bournvita" everyday! It contains Whey protein! Protein metabolism during intensive physical training: This study showed, Although the men who participated in the study did increase body protein stores and muscle mass with high-protein diets, the additional body protein did not enhance physiological work performance. It is suggested that in this sutdy 100 g of protein/day was adequate for men performing fairly heavy work. Notice, Curds & WHEY in the above poem. So, Whey has been around for ages now and people have always been aware of the benefits it offers. So is it necessary to consume Whey Protein to achieve your Fitness Goals? 6 Egg whites will give me the same 24 grams of protein I require. Time taken for preparation & consumption: 30 minutes. So, it's on you. those xyz grams of protein for your body are essential. It's your choice where you take them from. Lean Meat : chicken etc. A lot of varied research recommends consuming anywhere between : 0.4 gms per kg of bodyweight to 3-4 grams per kg of body weight. This depends on activity level, specialized nutritional requirements etc. One can safely consume 1-1.5 grms per kg of Body weight . That's approx 80 grams to 120 grams of protein for a person weighing 80 kgs. Whey protein is convenient, no doubt. Consumption of Whey protein does not decide whether or not you will successfully achieve your fitness goals. It's your determination & discipline that will.